Selling a home is certainly a big decision that you can’t take lightly. Of course, you’ll want to extract the maximum value from the sale of your home. Most homeowners don’t realize they can greatly increase the value of their home by renovating. If you think about it, there are a lot of emotions involved in buying a home. Just think about how you felt when you bought your house. Now that it’s time to sell your house, it’s your job to get potential buyers excited about the possibility of living in your home. You’ve spent years adding your unique styles and preferences to make your home your own. But, when it comes time to sell, all the things that have appealed to you over the years may not appeal to buyers. Get buyers excited about the prospect of living in your house. You can do this by making some changes around the house with a few renovations. Even small renovations can have a significant impact. How Much Can I Increase the Value by Renovating? Buyers are going to be looking for the latest trends. If your home contains outdated appliances and fixtures, you can expect buyers to talk you down on the selling price of your home. They will try to justify a lower price by reasoning that they are going to be required to make the upgrades themselves. 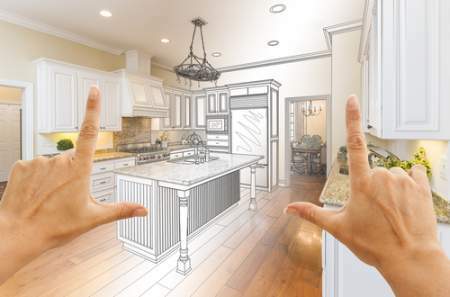 You can increase the value of your home by thousands of dollars with a few minor renovations. For instance, if you have outdated wallpaper on the walls or a paint job that reflects your unique style, you can refresh an entire room with a fresh coat of paint. When deciding which upgrades and renovations to make, you need to take into consideration your budget. If you put a little sweat equity into your home, the payoff could mean thousands of dollars in your pocket. You must weigh the pros and cons of making the renovations. You want to make repairs and upgrades that provide you with a decent return on your investment. How Can I Design with Buyers in Mind? Some people just have a knack for knowing how to put a room together. Every piece of furniture fits right into place and the room just flows. Not everyone is skilled in this area. If you’re one of the ones who knows what they are doing when it comes to staging a home for sale, that’s great. But, if you’re like most people, you don’t have a clue as to what appeals to buyers. Walk through your house. Go into each room. Do the rooms seem cluttered? Is there too much furniture? These are important questions to ask yourself as you prepare your home for viewing by potential buyers. You want the rooms in your home to be big and open. Therefore, you might need to remove clutter. If there’s too much furniture, you might have to remove some of it. Every buyer is always looking for more space. You can create the illusion of a bigger room if you arrange the furniture neatly and remove any excess pieces. In addition to making the rooms look bigger, you’ll also want to walk through your home to determine if there are any items that need to be fixed. Buyers are going to be looking for anything to get the price of the home down. So, now’s the time to fix the door handle or light fixture that’s been broken for years. Not only do you want to make the interior of your home appealing, but you’ll also want to look outside. Make sure the yard is well manicured. Shrubs and bushes should be neatly groomed. Remove any dead flowers or shrubs. Fresh mulch or gravel will make your landscaping stand out. If there’s any cracks in the driveway, now is the time to get the driveway sealed or repaved. When prospective buyers see that you care about your property and have taken good care of it, they will be more comfortable with you and will be more eager to buy your home. Paint can go a long way in making a room look presentable. It can turn a drab and outdated room into a modern living area that will appeal to everyone. Since you’ve probably lived in your home for years, you probably accumulated pictures on the walls. Well, when these pictures are removed, there’s going to be small nail holes in the walls. You’ll want to repair all those places and give each room a fresh splash of paint. When it comes to paint, there’s a variety of colors from neutral to bright. Everyone has their own personal styles and preferences. Maybe you like bright colors and you know just how to choose the colors, so the rooms will look terrific. However, you must keep in mind that what you like isn’t necessarily what the buyer is going to like. Remember, you want your home to be attractive to a large audience. The more people who are interested in your home means the more offers you will get. Therefore, it is best to stick with neutral colors when painting your walls. The great thing about neutral colors, such as beige, is that they go with anything. No matter what your furniture looks like, it will fit in with the wall color. One upgrade you might want to think about is crown molding. It really makes a room stand out. It is something that can be added to one or all the rooms in the house. It comes in different styles, so you can choose what you think goes best with your home. Crown molding gives a room a more sophisticated look. It is a small addition, but you can bet buyers will notice. Another simple upgrade involves the fixtures in your home. If you haven’t added new fixtures to your home, chances are they are several years old, not looking their best and outdated. For instance, brushed nickel has become a popular choice for fixtures, such as lights, door handles and bathroom sink and shower faucets. It’s a small adjustment but can have a huge impact on the way buyers view your home. Replacing the fixtures can be done on a budget and can add thousands to the value of your home so you’ll want to make this renovation if possible. 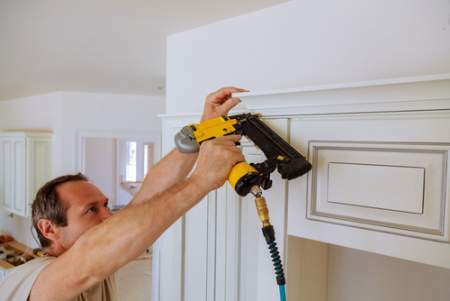 Since the installation of crown molding and fixtures is simple, you might be able to make these renovations yourself if you’re working on a small budget. These may seem like small renovations, but they can go a long way in adding to the value of your home. A good rule of thumb is to make any small repairs or renovations yourself and save money in your budget for those repairs or renovations that are too involved for you to do on your own. Serious repairs, such as a leaking roof or electrical upgrade, are best left to professionals. You’ll want to leave enough room in your budget to pay contractors should you need their services. One of the most popular rooms in a home is the bathroom. If you’re like most people you spend some time in the bathroom. It is one of those rooms that buyers will want to see upgrades. Maybe you’ve lived for years with an outdated bathroom that’s just not very appealing. If you haven’t renovated the bathroom, then this is a good time to start. The amount of renovations will depend on your budget. Again, keep in mind that neutral is best. Therefore, if you’re painting the bathroom, stick to a neutral color. If you’re changing the sink, toilet and shower, it’s best to choose something common and that will match everything, such as white or off-white. If the floor looks worn in your bathroom, it might be a good idea to replace the flooring. Tile is a great choice and is popular for bathrooms. Not only is it durable, but it looks great too. Alternatively, you can get the look of tile with vinyl flooring. Vinyl comes in a variety of colors and styles. It is also durable and can be a more cost-effective approach to replacing your bathroom floors. If your budget allows, you can also renovate the shower. Newer homes are coming with shower-only bathrooms. People are busy and, on the go, and have no time for a long, hot bath. Showers are quick and convenient. You could remove the bathtub and switch to a shower only bathroom. This works best for homes with two or more bathrooms where there is a bath tub in another bathroom. When you take out the bath tub and add a shower only, you’ll increase the size of the bathroom. Remember, larger rooms, including bathrooms, appeal to buyers. You can also add tiles to the shower wall. Again, neutral is best, but you can still choose a style that goes well with the bathroom and will appeal to a large pool of buyers. Probably the most popular room in the house is the kitchen. You likely know from experience that the family spends a lot of time in the kitchen. You prepare and cook meals there. Socializing seems to always happen in the kitchen. It is no wonder then why it is important for this room to be attractive and why prospective buyers will gravitate to this room first when looking through your home. They are going to instantly see what appliances are in the kitchen and how the overall room flows. For this reason, you must pay special attention to the kitchen. When buyers look at the kitchen, they want to see upgraded appliances and fixtures. Stainless steel is a popular option. If you don’t have the money to buy brand new appliances, you could search for used appliances that will look just as nice. Granite countertops are also a trendy favorite. If you have old cabinets, you can upgrade the cabinets, and this will really add to the updated look of your kitchen. If you’re working with a small budget, but you are crafty, you might be able to refinish or paint the cabinets. Sometimes, making a small adjustment to existing features of your home can have a huge impact and really add to the value of your home. Hardwood flooring is durable and is a popular choice among homeowners. It looks nice and will last for years. Hardwood floors never go out of style so once they are installed, they will likely be the only flooring the home will ever need. Tile is also a great choice for the kitchen area. It looks great and will stand up to all the spills and traffic that take place in the kitchen. Laminate comes in a variety of styles and can be made to look like hardwood or vinyl. Laminate can stand the test of time, looks great and provides you with great value. Like laminate, vinyl comes in many different styles. It is a more cost-effective solution when you’re working with a smaller budget. Your home likely appeals to you because you’ve lived there for a long time and have made it your own. The styles contained within are unique to you. But, if you’re getting ready to sell your home, you need to clean the slate and make it ready for someone else’s unique touches. 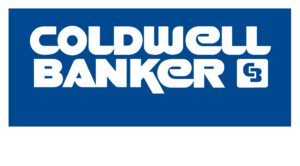 Increasing the value should be your main priority when you get ready to sell. 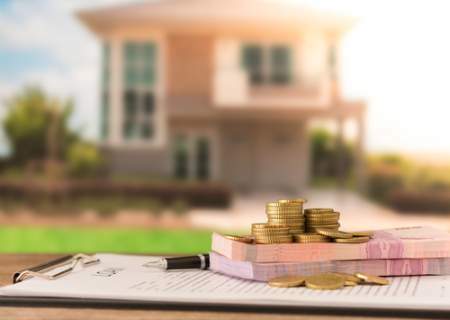 If you can increase the value of your home by even a few thousand dollars with just a few renovations, that’s money in your pocket. You’ll be able to take that money and put it into making your new home your very own.